Heritage and non-heritage actors and experts can’t properly tackle the illegal trade in cultural property without strong support from national and international political stakeholders. In the absence of these concerned parties, the necessary financial and human resources can hardly be mobilised. Organisations and institutions involved in combating this crime against cultural heritage need to develop effective advocacy activities targeting state administrations and politicians. Nevertheless, in order to be efficient, advocacy needs to be accompanied with actions aiming at sensitising the general public. Yet the public often underestimate the criminal aspect of illicit traffic in cultural goods, sometimes considering it as a gentleman’s crime. Raising the public’s consciousness on the criminal aspect of illicit traffic in cultural goods is a real challenge for both market and source countries engaged in the fight against this offense. Though the mobilisation of the public interest is an essential requirement, the use of communication channels to impulse a new public mind-set regarding the protection of cultural heritage requires the creation of innovative tools. From the classic approach of educational workshops, to the use of new technologies such as videos or social media, ambitious public communication is the key to efficient awareness-raising. In this area, the international heritage community has been considerably delayed in comparison to other advocacy-oriented professional sectors. New technologies and internet allow to easily and quickly reach thousands of people around the globe. The combination of the most innovative tools (social media, collaborative platforms) with other communication mechanisms (videos, TV spots, postcards, billboards in train stations and airports, etc.) is essential for the development of wide and efficient public sensitisation campaigns. For decades the thefts of masterpieces in famous museums were the only aspect of illegal trade covered by newspapers or evening news. As a consequence of this partial media coverage, the public opinion has an incomplete understanding of the problem at a worldwide scale. The situation experienced a sudden change in 2003 with the looting of the Bagdad museum. This event showed another massive and yet disregarded face of the traffic: the sale of looted archaeological artefacts. Since then, mass media have had a growing interest for the fate of stolen cultural heritage, particularly in times of conflict. A prime example of this being the wide coverage given to the state of cultural heritage during and after events such as the civil uprising in Egypt, the armed conflict in Mali and the Syrian war. All of these events favoured an increasing change in the interest of the public for the illicit trafficking in cultural heritage. Mass media has become a major ally for the organisations willing to get the public support in their fight against the illicit traffic in cultural goods. Along with the well-known newspapers, TVs and Websites, the emergence of specialised blogs and websites has followed the development of Internet. Among the few websites dedicated to the issue of illicit traffic, there’s the one created by Trafficking Culture, Glasgow University’s research project website. The on-line platform provides fresh news and publications, as well as detailed case studies. 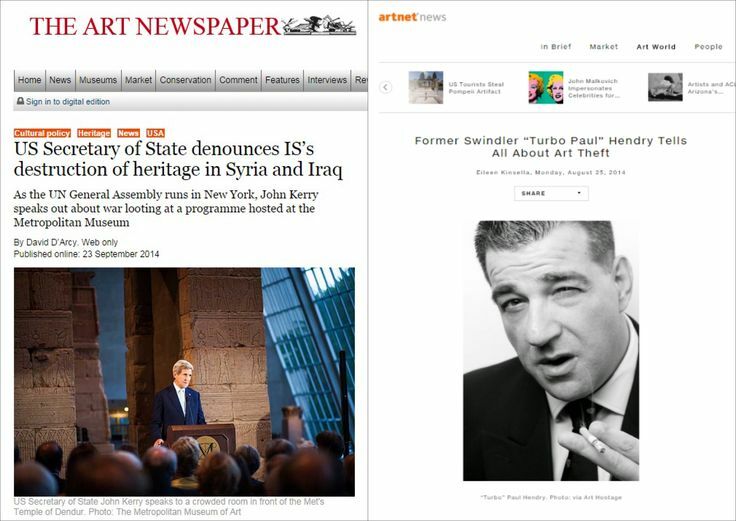 Art media such as The Art Newspaper, Art Daily or Apollo Magazine also occasionally address the issue. Others are focusing on prevention and conservation of cultural heritage, The Getty Iris is an example of one such publication. Then there are those that focus solely on archaeology, like Archaeology, the on-line magazine of the Archaeological Institute of America. Art market websites like Artnet are also among the platforms where one can find first-hand information on stolen artefacts. The legal aspect of the problem is covered by websites dedicated to art law. Several tools, even if developed by law enforcement agencies or organizations for the international police cooperation, are addressed not only to law enforcement agencies, but also to the public in order to awaken public opinion to the problem of the illicit traffic in cultural goods and spread the idea that it is of interest for everyone. For instance, several websites have developed early warning systems that can alert everyone of a theft or an illicit excavation. The most famous crime alerts can be found on INTERPOL’s website. But other organisations or institutions propose similar live services to the public, such as Safety of Quebec or Museum Security Network. 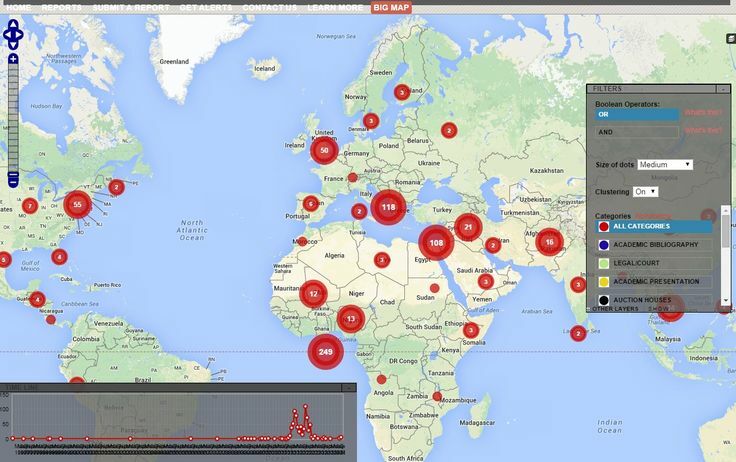 Recently, the open-source crowdsourcing initiative Looted Heritage tried to use geo-tracking system to crowd-map thefts and lootings all around the globe and attempted to make heritage crime alerts more user-friendly for the visitor. This use of data-mining is innovative in the sector and could prove very useful; though collecting the information remains the main obstacle. Unlike other areas where advocacy and awareness-raising are essential strategic assets, the heritage sector has had some difficulties in using visual communication materials. Some interesting examples, however, have been developed in the past by organisations such as UNESCO or INTERPOL. ICOM Red Lists also illustrate the strength of visual material in terms of communication and awareness-raising. From time to time, state administrations use visual material to sensitise their population against the illegal trade of cultural items. Good examples can be found in Australia, Belize, Peru or South Africa and could inspire other countries willing to protect their cultural heritage from theft and looting. Museums and other cultural institutions can also play an important part by organising exhibitions on the topic. In June 2014, the Cairo Museum decided to dedicate a specific area of its exhibition hall to display dozens of museums which had been stolen during the revolution and seized afterwards. 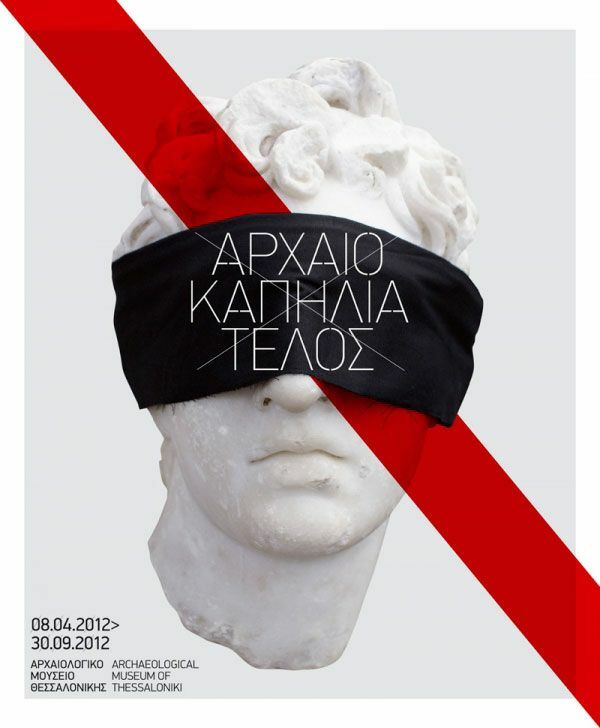 In 2012, the Thessaloniki Museum organised an exhibition called “Trafficking of antiquities: Stop it!! !”, while UNESCO and the Carabinieri unit for the protection of cultural heritage were jointly organising an exhibition on recovered stolen objects at UNESCO headquarters. Videos can also be extremely efficient in this regard. Unfortunately, here again, the lack of tools can be regretted. Though we can find interesting videos produced by INTERPOL or the Brooklyn Museum, UNESCO is the only organisation that is regularly using this tool to produce short films such as “40 years combat against the illicit trafficking of cultural property”, “Fighting illicit traffic of cultural property in South-East Europe”, or the recent series “Warning! Preventing the looting of cultural property in […]” and "Heritage is identity, don't steal it". The difficulty encountered by the heritage community in developing public communication strategies also explains the small number of awareness-raising campaigns. SAFE (Saving Antiquities For Everyone), an American NGO dedicated to the protection of cultural heritage, is one of the very few organisations initiating such global communication campaigns to reach the wider general public. The NGO has already launched several innovative campaigns: “Global Candlelight Vigil”, “Who is …?”, “Save Kashgar”, and “Say Yes”. More recently, UNESCO, the UNODC and the UN World Tourism Organisation launched an inspiring campaign entitled “Your Actions Count - Be a Responsible Traveller”. The operation aims to raise awareness among tourists around the world on how they can help fight trafficking by encouraging a better understanding of the major criminal implications hidden behind some of the decisions made while travelling. A large number of countries consider the illegal trade of cultural objects as a serious crime. Nevertheless, the public often doesn’t understand its cultural and scientific consequences, and therefore the legal and ethical implications of trading looted or stolen cultural items. In this regard, such exciting wide campaigns have a real potential in terms of impact on the public audience. In order to make awareness-raising more efficient, educational activities which include students of all ages have a real added value. Several countries have implemented programmes and tools destined to sensitise children and youths about all kinds of damages caused by the illicit traffic. The “Witness the Past” programme, recently developed by the Technological Educational Institute of Athens, is a striking example of a lively and interactive educational content. Older students are also an important target of such programmes, particularly in art, heritage and archaeology courses. Many of these students have a chance to be confronted to the thorny question of illicit traffic during their career. Thousands of books, articles and reports have been issued on the themes of theft, looting or return and restitution. The issue raises the interest of heritage and art professionals, archaeologists, academics and students from all over the world. Yet, apart from some articles in magazines or newspapers, there are only few publications that are not intended for experts or a well-informed public. ICOM’s 100 Missing Objects series is one of the few examples of publications designed for the general public. Through the listing of the 100 most famous missing objects of a given region or country the publication’s intent was to underline the seriousness of the situation while providing direct, specific and clear information. In Poland, the National Institute of Museology and Collections Protection publishes since 1997 the magazine “Valuable, Priceless, Lost”, which hosts articles covering a wide range of contemporary topics related to illicit traffic in cultural goods. In 2013, the magazine “Culture & Development”, published by the UNESCO Regional Office for Culture in Latin America and the Caribbean, dedicated a special issue to the fight against the traffic. Despite their expertise and their understanding of the issue, the sensitisation of experienced professional is also as important. The organisation of and participation in conferences, meetings, seminars and workshops on related subjects is particularly efficient for raising and maintaining professional awareness. The current growth of the worldwide internet connection and the development of digitals tools open a wide area for potential innovation in the field of e-learning, webinars and e-conferences. It will be up to the different stakeholders, from all disciplines, not to miss this opportunity to call for the concern of heritage professionals, public officers and scientists.